Hello friends, Today I will tell you What is Amazon Fire Tablet for Kids. 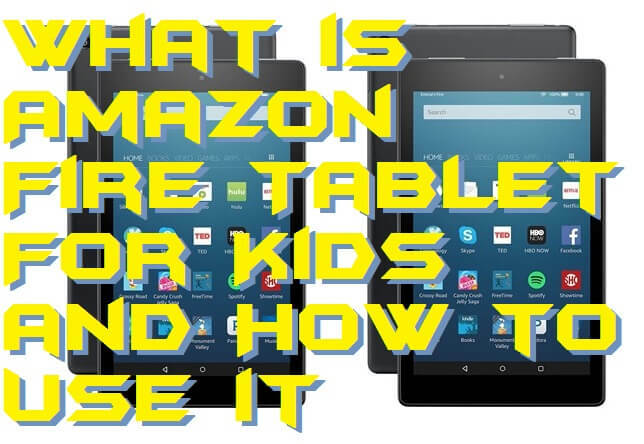 We will discuss everything about Amazon Fire table for kids. I will also share step by step on how to use Amazon fire Tablet for Kids. You can make Amazon Fire tablet more secure for kids, and other people can also use Amazon Fire tablet. Users can take the full advantages of Amazon fire tablet for kids. I have also shared some exciting features of Amazon Fire tablet. 1.1 What is Amazon Fire Tablet For Kids? Did you know what is Amazon fire tablet for kids and how you have to use it? Well, today I will be explaining to you guys that what does Amazon fire tablet kids do and how to use it. I am describing the knowledge about Amazon fire tablet for kids below in the tow section. Firstly we will know that what is Amazon fire tablet for your kids? Secondly, we will get to know that how we have to use Amazon fire tablet for kids. So, without taking your more time, I would like to start this article for further details. What is Amazon Fire Tablet For Kids? Amazon fire tablet for kids is a tablet which is designed for children only. However, anyone which is interested in using Amazon fire tablet kids can also use it. Amazon fire tablet kids is a basic tablet which is compatible with children such that they can watch cartoons, animation movies, play games, listen to music, use the internet, and much more. Amazon offers three different colors for Amazon fire tablet for kids that are blue, pink and orange. Also, Amazon offers two different variants in Amazon fire tablet for kids that are Fire 7 Kids Edition and Fire HD 8 Kids Edition. If you are the parents of a child, then you can also set up the parental controls in Amazon fire tablet for kids. If you don’t know that how to use Amazon fire tablet which are for your kids then use this method. Use this method to learn that how to use it and then handover it to your child. Thus, after that, you will be able to guide your child in the best manner that how he/she has to use Amazon fire tablet. I have shared some steps to set up the Amazon fire tablet kids and to know the usability of it. Let’s start the below guide and check how we have to use Amazon fire tablet kids. Then, select your language and click continue. Now, connect to WiFi or click complete set up later. Then, register your Amazon fire kids from your Amazon account. Select time zone and set up the parental control. Then, add children profile and click continue. Select the thing to share with your kids and click continue. Then, set up the lock screen password or PIN. Now, start using the Amazon’s Freetime fire tablet. In this manner, you have to set up the Amazon fire tablet kids and add everything which is necessary for you and your child. After that, you are ready to rock. Use the Amazon’s Freetime fire tablet as you use your smartphone or any tablet. We have now seen that what Amazon fire tablet for kids are, and how we can use Amazon fire tablet for kids. Most of the peoples don’t know that what is Amazon fire tablet kids and even they cant use it in a perfect manner. Thus, after reading this article, I am sure that they can now use it very well. I hope now you have got an idea about Amazon fire tablet for kids. As well as now you are able to use Amazon fire tablet kids correctly. 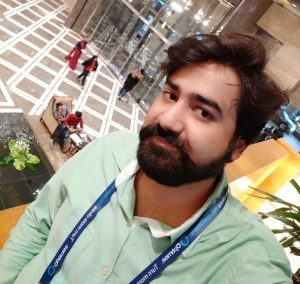 You can share this article with your colleagues also. So, they can even get to know that what is Amazon fire tablet for kids and how to use Amazon fire tablet kids.